The stakes couldn’t be any higher. 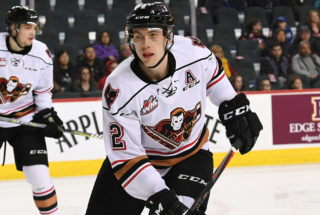 With a tight Central Division that could go down the wire, the Hitmen head into Lethbridge Wednesday night looking to pick up two big points. 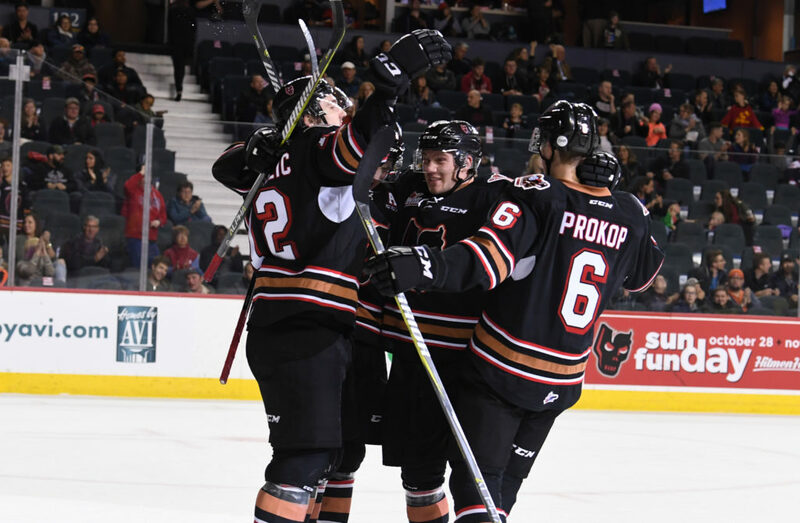 With a recent run of 7-1-1, the Hitmen have done their job in climbing up the standings and are coming off a dominating 6-2 victory over the Moose Jaw Warriors Sunday afternoon. 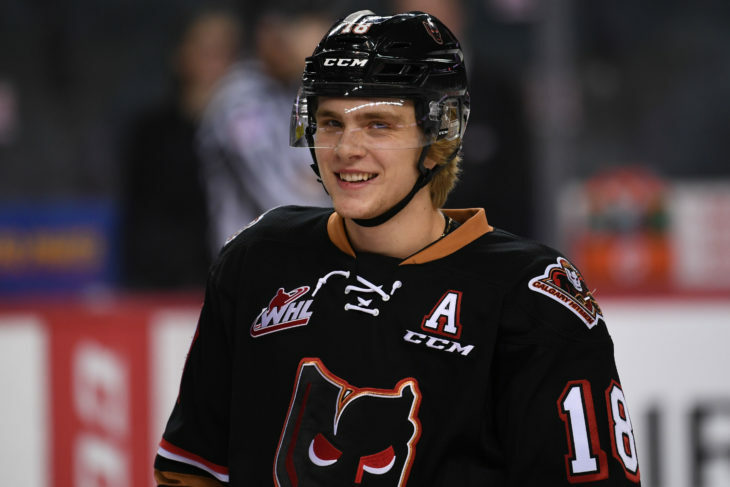 Six different Hitmen found the back of the net with Mark Kastelic, Tye Carriere, James Malm, Kaden Elder, Riley Stotts and Cael Zimmerman lighting the lamp. In his first start since Nov. 23, Carl Stankowski ended with 20 saves for the win. The two Central Division rivals have met four times so far with the Hurricanes winning three of the tilts with the two teams combining for 40 goals in four games. Kastelic (5G, 3A) is Calgary’s top scorer with eight points against the ‘Canes while Elder (4G, 2A) and Jake Kryski (1G, 5A) both have six. Lethbridge is currently on a three-game losing streak but have picked up two points with an overtime and shootout loss. 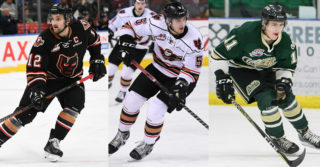 Their last ten games have seen them go 4-4-1-1, falling 6-5 to Prince Albert Saturday night in the most recent clash. 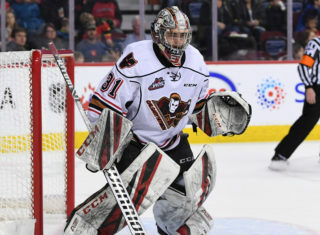 Sitting just three points back of Lethbridge for third in the division, the Hitmen begin a crucial week in the schedule that will see them play Medicine Hat twice later on in the week. Another team they are trying to catch in the standings. “If we want to move up we have to do it against Med Hat, Lethbridge and Edmonton because those are the teams ahead of us,” head coach Steve Hamilton said. “We’ve showed a lot of resilience to get to where we are and that has been an important aspect of our game. 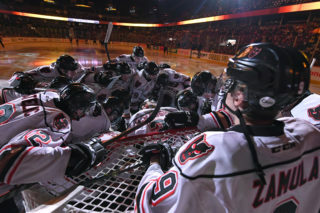 The home-and-home set with the Tigers kicks off Friday night at the ‘Dome with Saturday night’s clash back in the Hat. 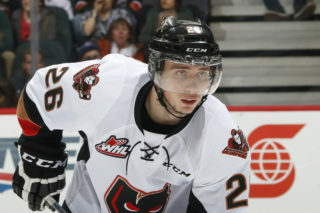 Riley Stotts (3G) is riding a three-game goal scoring streak and has points (3G, 6A) in seven straight games. James Malm (3G, 4A) is on a four-game point streak. Kaden Elder (6G, 9A) has points in seven of his last eight games while Mark Kastelic (8G, 5A) has points in six of his last seven outings. Jackson van de Leest is five games shy of 100.